Locality: USA, Colorado, Garfield, Rifle Gap. 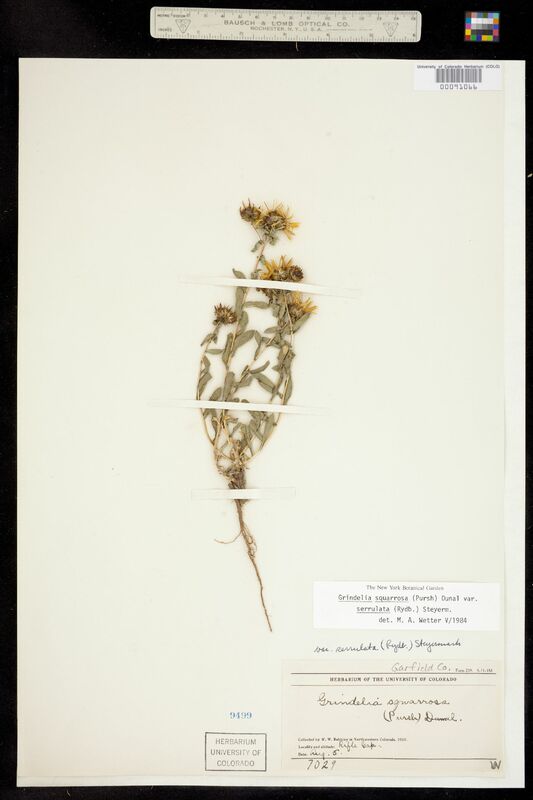 Occurrence Remarks: Grindelia squarrosa (Pursh) Dunal var. serrulata (Rydb.) Steyerm., det. M. A. Wetter, V/1984. 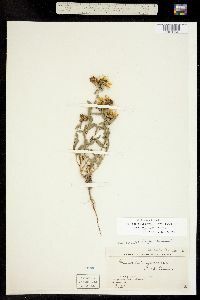 Originally ID as G. squarrosa.